Our company began as a janitorial business in 1994. We decided that this business would be the way to raise our six girls. We worked late evenings and we were able to be home with them during the day. Our sweeping business began in 1997, when after three years of hand brooming a freight dock, which was taking three hours a day to sweep, we needed to come up with a better way. After a back injury slowed me down, we began praying and searching for a different avenue to sweep the dock. As chance would have it, we encountered a person with a small trailered-riding sweeper, which intrigued me. The person agreed to demonstrate the machine at the freight dock which I was still hand brooming. It made three hours of hard labor become a half hour of work and it cleaned it ten times better. This is how we began. What is your business model? Your total employees and office locations? We are a Christian-owned and operated business. We believe in integrity and forthright policies that ensure our customers’ satisfaction. 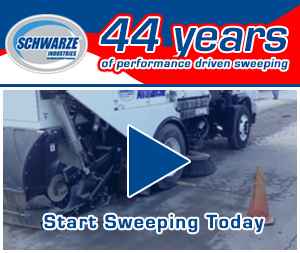 We currently have five sweeper driver/tech employees. We operate out of one location in Albuquerque, NM. We service most areas in New Mexico and we’ll go where ever they need us. The last few years have allowed us to purchase new equipment, as well as, obtain several new clients. It has also generated an extra amount of one-time sweeping jobs that disappeared for several years during the turbulent economy. Dex Media is the phone book around here in the Albuquerque area, so our ad in there works. There’s also an online version of that here where I show up in Google searches. When someone looks up sweeping, I’m on that list. There is also word of mouth from current customers that provide valuable referrals. Between 30-40. I’ve been doing some Walmart stores for 18 years now. I’ve done Peterson Properties for 19 years. They are a commercial real estate company. So I do all of their properties. Then there is Smith Grocery stores and all the big malls here, Cottonwood, Coronado, and Wind Rock Mall. We also do municipal sweeping for industrial places like steel companies (Reliant Steel). I just do all kinds of commercial sweeping, as well as, for construction cleanup. Mobile home parks. A large riding sweeper goes to different parts of the state as well. No, but we do have environmentally safer machines now. Because we’re sweeping up debris we use special sanitizers to make sure they are disposed of and treated properly. They go into a big hopper the machines have. How did you arrive at creating a unique brand for your company that allows you to stand out? We named our business after a Greek biblical term “Dunimas” which means “explosive power” and is the root word of the English term “dynamite.” We changed the spelling for uniqueness. We usually run 4-10 hr shifts, with usually, 3-4 drivers per night. We also have a helper for heavy trash weekends. 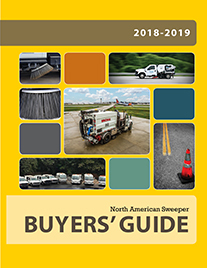 What sweeper trucks, equipment, and machinery technology do you use most often? We use a wide variety of sweepers for various jobs. 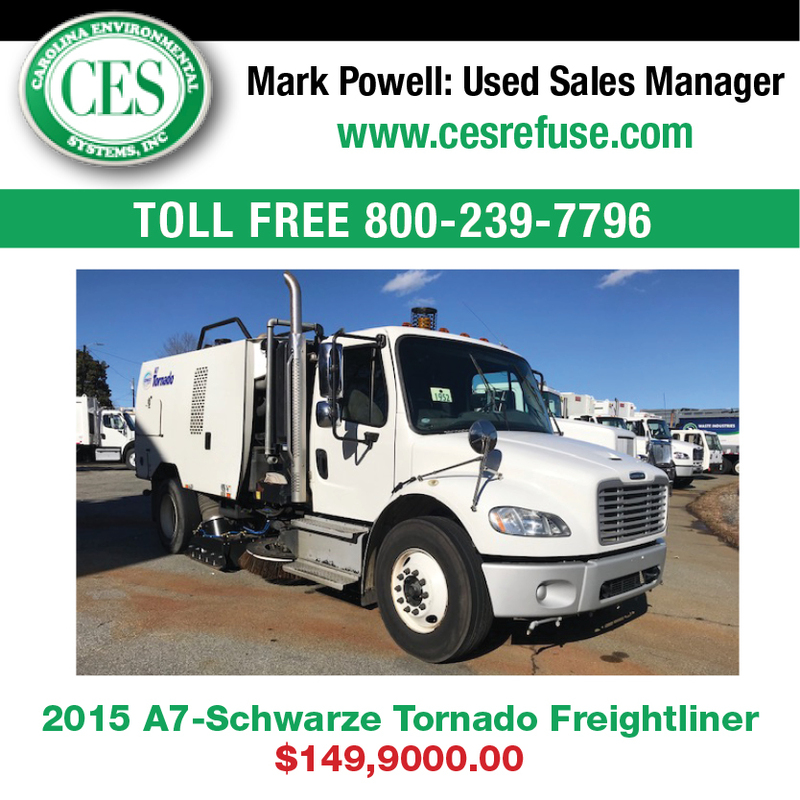 Schwarze Gale Force Sweepers – Regenerative Air Sweepers with large capacity hoppers for debris. 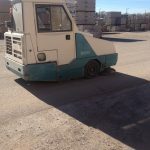 Trailered Tennant Broom Sweepers – Heavy debris clean up jobs. 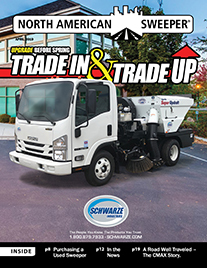 Tymco 210 Sweepers – Regenerative Air Sweepers. How does disposal work in your New Mexico? We are allowed to dispose of waste in our customers’ landfill dumpsters. Our sweepers use a sanitized water solution. Plus, in New Mexico, it’s 5- 10 percent humidity so dust control is essential. We need that water sanitizer. They aren’t just sweeping the debris but they go through a filter to catch the majority of it. It contains 85 percent of the dust at least. A lot of people care about that. How much does new technology factor into your business? Quite a bit. We have added GPS services to all of our sweeper trucks. We will be adding dash cam capabilities very soon. Anything else we should know about your company to get to know you a little bit better? Our business has allowed us to provide good paying jobs in our community. We have been allowed the freedom to be self-employed, raise our family and send them all to college by using the free enterprise system.